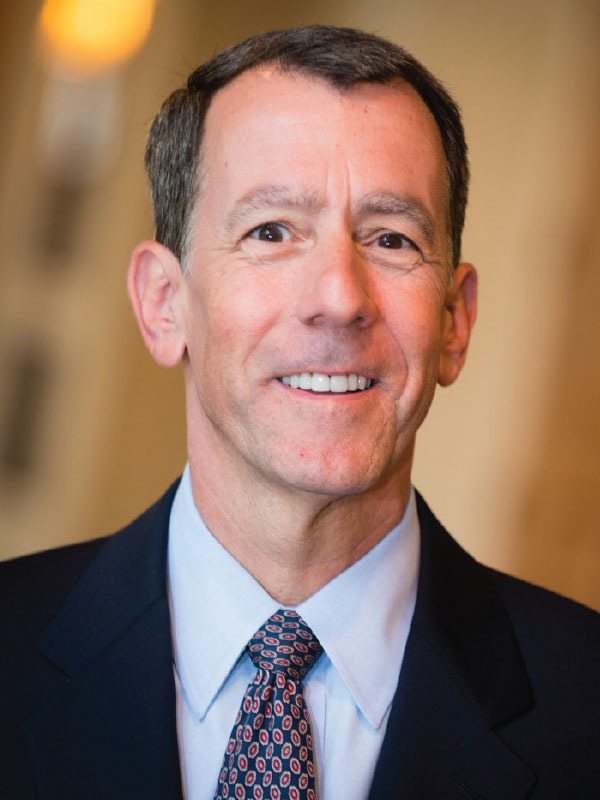 Gregg Goldman, recently appointed senior vice president for business affairs and chief financial officer at the University of Arizona (UA), Tucson, becomes the 2015–16 chair of the NACUBO Board of Directors on August 1. He succeeds Ronald L. Rhames, president of Midlands Technical College, Columbia, S.C. In his new role at UA, Goldman is responsible for the university’s budgeting, financial services, program design and construction, facilities management, business processes and functions, police, and relationships with university-related corporations. Prior to joining UA, Goldman was senior associate dean and chief financial officer at the University of Southern California Marshall School of Business, from 2003–15. He also served in various financial roles at the University of California, Irvine, the University of California Los Angeles (UCLA), and private companies in the Los Angeles area. Goldman earned a master’s of business administration from California State Polytechnic University, Pomona; and a bachelor’s degree in business administration from Thomas Edison State College, Trenton, N.J. He also completed UCLA’s certified program in sponsored research administration. Goldman has been involved in both NACUBO and WACUBO; he has served on the NACUBO board since 2012 and as WACUBO’s board president from 2012–13. He also served on the board for the American Library Association fiscal and business affairs groupfrom 1991–97. The NACUBO vice chair for 2015–16 is Randall D. Gentzler, vice president for finance and treasurer, Loyola University Maryland, Baltimore. Mary Lou Merkt, vice president for finance and administration, Furman University, Greenville, S.C., will serve as secretary. Last year, NACUBO and APPA partnered to conduct the first Key Facilities Metrics survey. More than 200 institutions participated in the survey, which pulled data relating to five simple annual metrics: Btu, kilowatts, water usage, waste consumption, and carbon footprint. Survey results, published in the new report 2013–14 NACUBO/APPA Key Facilities Metrics, will allow campus finance and facilities professionals to plan and develop strategic initiatives, and operate more-sustainable campuses. The data can be used to evaluate and reduce energy consumption on your campus. Go to the APPA website (www.appa.org/research/nacubo.cfm) to view the results. Additional charts are also available on the NACUBO website (www.nacubo.org) on the “Sustainability” page. The 2014–15 Key Facilities Metrics survey will open in late summer. For the latest in higher education tax compliance, plan to attend this year’s Tax Forum, October 25–27, at the Drake Hotel, Chicago. Along with sessions that closely examine timely technical issues, this year’s program offers a broader view on the issues affecting colleges and universities, including a year in review, a legislative update and forecast, and recent perspectives from an Internal Revenue Service insider on how changes at the agency may affect institutions. In light of the focus of recent IRS audit activity, sessions covering benefits-related topics such as meals, housing, travel, and moving expenses are also on the presentation list. A departure from the typical presenter-provided information session, these will be audience-driven discussions initiated and guided by facilitators. In addition to these highly informative and interactive sessions, attendees will have opportunities to network throughout the event to discuss tax compliance with colleagues and speakers. For more information and registration, visit www.nacubo.org. If you register for the 2015 Tax Forum, you will receive a $100 discount for the Global Operations Support and Compliance Forum, which immediately follows the Tax Forum. The newly proposed Accounting Standards Update—“Presentation of Financial Statements for Not-for-Profit Entities”—issued by the Financial Accounting Standards Board (FASB), is a far-reaching reporting proposal that prescribes an operating measure based on resource availability and mission. Under this proposal, governing board actions would also be considered in adjusting financial performance. The comment deadline is August 20. To help institutions understand the myriad changes and reforms the proposal suggests, which include updates to reporting, the classification of expenses, and new disclosures, NACUBO held a “just-in-time” webcast to explain FASB’s NFP reporting proposal. Now available on demand—and free to NACUBO members—this webcast provides an overview of the proposed updates, and speakers discuss the issues that are being debated by NACUBO’s Accounting Principles Council, including how the intended changes could impact institutions. For more information, visit the Distance Learning page at www.nacubo.org.